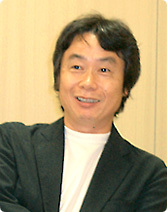 Miyamoto-san, what was the key concept for you when you started making the controller? It was the idea of accessibility. Rather than make something that would make people wonder if they could use it or not, I wanted to make something that would make people want to pick it up and try using it. Of course, I also had to keep my own experience of making video games in mind. It was absolutely essential to make something that would also work with older games. I also spent a lot of time thinking about what makes a design accessible. It was in this context that we started to question everything about conventional controllers, including the idea that a controller had to be held with both hands. This was something that you had mentioned from the beginning of development, wasn't it? It was a good opportunity for us to think outside the box. Although this did not lead us directly to the final controller design, it was an important idea in breaking down old conventions and expanding the scope of our discussions. This was good in the sense that it allowed us to consider ideas such as not using hands at all, or even putting the controller on your head, for example. Of course, going too far in that direction would just lead to something that is different just for the sake of being different. An eccentric design like that might work well for some games, but could never be used as a standard, making it a difficult choice for a console's primary controller. So we wanted to come up with a bold and daring design that would be within the bounds of reason. So, this is what you meant by accessiblity. The task ahead of you must certainly have seemed difficult, but what actually caused you to start moving in the direction of the current controller? Well, there are several overlapping factors. First of all, Mr Takeda suggested using a pointer. In the subsequent discussions, Mr Ikeda talked about making it into the current straight shape, kind of like a rod. This was perfectly in line with my train of thought. Once the pointer technology was introduced, it wasn't exactly obvious to make the controller rod-shaped, was it? It wouldn't have been unusual if we'd come up with a two-handed controller with a pointer in the middle, for example. We actually made a demo unit like that. What did we call that design again? It had something to do with sumo. We called it the Gunbai (the fan held by the referee in sumo wrestling), I believe. Yes, that's right, the Gunbai. We tested it pretty thoroughly, if I remember correctly. But it just didn't feel quite right. I understand it better looking back now, but we were approaching it in the wrong way. We were trying to move in the direction of the rod shape, but we started with the idea of a two-handed controller. When I realised this, I told everyone "we shall start from the rod!" But even though I said that we should make the rod our starting point, we ended up with just that - a rod! Once we decided on this shape and the control became one-handed, several problems were solved at once. I really sensed that everything we had hoped for the controller would become a reality. It wasn't so much that these problems were solved in a deliberate manner, but more like several ideas worked well with the underlying concept. At that moment, I felt that we'd finally done it. That's how difficult problems are normally solved, isn't it? They're all cleared up at once. Definitely. With all the ideas we'd had up to that point, no one was really sure that they had the right idea, but they showed it to everyone anyway. That usually means they haven't done it yet. You're absolutely right. Even if it seems good, it has its strengths and weaknesses. So you inevitably face the expected criticism when you show it to everyone. You already know that half the people will love it and the other half will hate it. Honestly, I think we pushed the DS through even though we had some opposition. But this time, instead of just asking for everyone's opinion, I strongly felt the need to persuade everyone because this was the idea we were looking for. That was the moment I really thought we'd finally done it. I felt that there was a reason to persuade everyone of this idea. How can I put it? It was like a realisation for me. I still remember the first time I saw the pointer demo in one of the conference rooms. From the moment I picked it up, it just felt right. I had handled other pointer devices before, but they are not normally responsive and leave you feeling more frustrated than relaxed. The pointer idea itself was also good, but in this case it was the sense of control, the finish of the product, that was particularly good. I suppose that was the result of the technology brought in by Mr Takeda. Perhaps. This goes back a little bit, but before the Wii project began, I started to have doubts about what had become the current game standard of exchanging 60 signals per second. For example, if you put a camera on a car moving at high speed, and then try to reproduce the images taken by that camera at 60 frames per second, then the whole point of the car moving at high speed is lost. Now, I've also been interested in pointing devices for a while, but I've always thought that the tracking would be insufficient, and that the pointer would therefore not move as expected, if signals are only exchanged 60 times per second. Around that time, a sensor technology was released that could pick up 200 or 300 signals per second, and I felt that we should take a chance on it. I told Mr Ikeda that it would be worth a shot. This was the only thing I mentioned regarding the controller. In that sense, the union of the pointer and the sensor was very important. The Wii play style that could be realised using the Wii Remote finally came into focus when we added this highly responsive sensor. The current Wii Remote took its shape by thinking of it as more than a simple pointing device, by combining numerous features, and after a long process of trial and error. As I listen to this conversation, I'm again reminded of the fact that nothing materialises from just one idea, does it? Looking at the completed Wii controller, one might think that it was originally conceived as a single concept, but it would never have been completed if several ideas - using a pointer, making it shaped like a rod so it could be controlled with one hand, and using a sensor with a responsiveness of over 200 signal exchanges per second - had not been united with a common vision in mind. Now, completion of the main controller led to the development of various types of extensions that would connect to it. I have the impression that a lot of these extension controllers were conceived over a short period of time. Tell me how you first came up with the concept of connecting controllers. Well, it was because the main controller was just a rod. (laughs) It clearly couldn't be used to control existing games. Since Wii is compatible with Nintendo GameCube games, and we also had the concept of the Virtual Console, we had to make it possible to play games from the NES days, too. On top of that, we also had to consider FPS (first person shooter) games for the overseas market. These factors ultimately gave birth to the idea of combining various controllers to the main controller with an extension connector. We were also able to solve several problems at once with this idea of connecting controllers. One of the other problems we have always worried about is expensive peripherals. Even if you want to sell a peripheral with a game that uses it, the end result is costly. 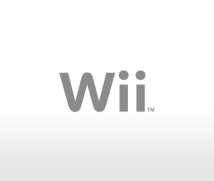 In the case of Wii, since the controller is wireless, the peripherals would also have to be wireless, and we were worried that this would make them even more expensive. It was then that this idea of connecting controllers emerged, and we realised that we could just connect everything to the main controller. By doing so, we would not have to worry about wireless communication for the peripherals. So, even a controller like the Action Pad that is placed on the floor can just be connected to the main controller. The same is true for something like the DK Bongos. In the course of a single meeting, we were able to visualise our goal. Definitely. Existing games could also be played by simply attaching the Classic Controller. The idea of connecting controllers spread very quickly, but the Nunchuk, which had such a strong impact when it was announced, was done much later. Would you please explain how the nunchuck-shaped controller was born? The one-handed controller alone was a very innovative idea, but I think it was very daring to have a different shaped controller in each hand, and to have them operated separately. This idea originally came from one of the young developers involved in the project I mentioned earlier, the one aimed at selling packaged peripherals with GameCube games. I can still vividly recall the look of anxiety on Mr Ashida's face when he showed me the Nunchuk. What was running through your mind at that time? Well, I thought it wouldn't fit well with the streamlined designs of the console and controller. At first, I also considered a design similar to that of the remote. But since it was so obvious that the right and left hands are used differently, I realized that making the designs similar would just make it harder to control. When I asked for Mr Takeda's advice, he reassured me that it was fine for them to be different since they would be used separately. For example, we used to call the Wii Remote the Core Controller, or alternatively the Core Unit, because peripherals were attached to its extension connecter. Oh, that's right, we called it the Core, didn't we? But the term Core Unit doesn't sound very accessible, even though that's what we were aiming for all along! (laughs) It was Mr Iwata who insisted that the main controller be called a remote, wasn't it? Yes, that was something that I was unusually stubborn about. The TV remote is something that always sits within reach and is picked up and used by everyone all the time. Since I wanted the controller to be used in the same way, and since it ended up looking like one in the end, I strongly believed that it should be called a remote. And also because one of the most fundamental questions behind Wii's development was why some people use the TV remote all the time, but hesitate to pick up a game controller. So I really insisted that it be called a remote. You even wanted to call it a "rimokon" (the Japanese word for remote) in America! OK, in order to wrap things up, I'd like to have Mr Miyamoto make some more comments about the idea of accessible design that he mentioned at the beginning. He was actually already thinking of ways to make the controller more accessible during the development of the Nintendo GameCube. That's why there's a single large button that stands out on the Nintendo GameCube controller, so the player knows which button to press first, right? So what was different about your approach this time and your attempt with the Nintendo GameCube? "I think it was learning how to find a middle ground. Even now, working on Zelda, I sometimes feel that there aren't enough buttons. Of course, when I mention this to the folks in my team, they look like they want to strangle me! (laughs) I shouldn't really be saying this, because I myself have been telling them that we have to move on from making games that need more and more buttons. In that sense, I want to make games simple and easy to understand, but part of me wants to make them more complex at the same time. In the end, our premise was to make a design that's accessible to everyone. Only then will we be able to introduce people to a variety of software. We witnessed the same kind of process when computer games, that had always previously been controlled with a keyboard, spread worldwide in an instant as a result of the NES. This might not be said very often, but a very important thing about the NES was that it worked no matter who used it. It turned on when you pressed the power button, started when you pressed the start button, and reset when you pressed the reset button. I always wondered why something so simple couldn't be achieved with a PC, so in a sense, we really went back to the drawing board." I see. So while it might seem that Wii is turning all of Nintendo's history on its head, at the same time we're also going back to our roots. Thank you very much. Next up is an issue we haven't discussed yet, the Sensor Bar.